Whether you are new to peer-to-business lending or are a seasoned professional, you should regularly consider whether your lending strategy is working for you. We’ve put together a short list of things you should consider as a peer to business lender not only on rebuidlingsociety.com, but across other platforms too? 1. Why are you lending and when do you lend? Understanding and recognising your reasons for lending via P2B platforms will allow you to make more informed lending decisions. For example, are you lending to make a quick return on your funds and are likely to need the money at short notice, if so, then lending to a business on a 5 year term might not be the best means to meeting these objectives. Similarly understanding more about what makes you lend in one loan over another is also another important factor to take into account, particularly when reviewing loans that may have gone into default. By setting a good list of factors that feel should be met before you lend to a business, the more informed your lending decisions will be and the more closely aligned to your risk appetite. We asked our lenders why they tend to lend, 38% say that they lend to build their net worth, another 37% say that they lend to earn a passive income. From the below graph one can see that many lenders rank security, profits, answers to questions and high returns as the most influential factors when deciding when to lend. Whilst many of these are valid reasons for lending, you should always ensure that a loan meets your minimum requirements. Strong Security. Whilst strong security makes a difference in the recoverability of a loan should it enter default, it will not necessarily mean the business is a good option. Lenders should also keep in mind that the value of the security may both increase as well as possibly decrease depending on the circumstances. Good Answers to tough questions. The ability to ask questions and receive answers from borrowers is one of the things that sets rebuildingsociety.com apart from many other platforms, the discussion forum can prove to be a really useful tool not only to lenders but also to borrowers. Profits. Profits are often a good measure of the strength of a business, however lenders should always take into account that the financials provided by the borrowers are often from periods gone by and not evidence of the business’s current financial position. High returns. It may be natural for lenders to chase high returns, particularly where lenders feel that a loan represents an above average level of risk. However, lenders should keep in mind that charging borrowers higher levels of interest could put the borrowers under added financial pressure. 2. 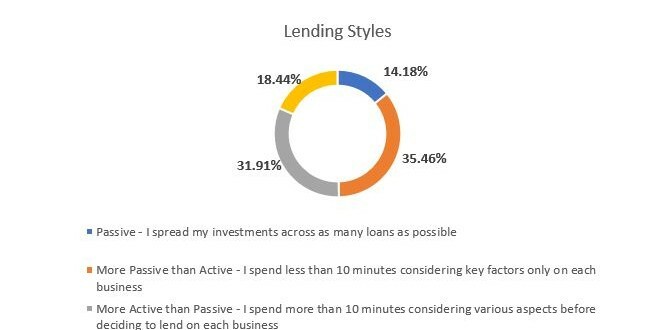 How diverse is your lending portfolio? Lending across a variety of different loans means you’ll spread your risk. Lending to a single sector, risk grade or even business will mean that if there is a decline in that sector your returns could be greatly affected. You should regularly review your loan portfolio to check whether you are comfortable with the diversification of your portfolio. If you find that you are not comfortable with the spread, you should consider taking action to divest from certain sectors or plan to lend across varying sectors in the future. As a P2B lender, you will generally be lending to small- and medium-sized businesses, these businesses are often easily affected by changes in the economy, regulation or by personal circumstance, therefore it may be in your interest to ensure that you don’t get caught up in a wave of turbulence in any industry sector. 3. Are you Active or Passive? We have noticed that lenders on our platforms and others tend to be either ‘Passive’ or ‘Active’. By this we mean that some lenders will take little interest in their lending behaviour and their loan portfolio, preferring simply to lend widely and achieve a potentially lower return for little effort, whereas other lenders prefer to actively pick and choose their loans and will actively monitor the performance of their loan book. Whilst rebuildingsociety.com, like many other platforms allows you to activate an auto lend function, it is important that you do, at least periodically check in on your portfolio to monitor its performance. Checking in to see how loans are performing may allow you to spot signs that you are uncomfortable with allowing you to divest early. Similarly taking a more active approach to lending on the primary market place, by asking questions of the borrowers and scrutinising their accounts you may be able to better identify businesses that suite your risk appetite. 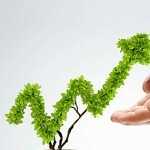 Furthermore, on rebuildingsociety.com lenders can also actively make decisions on the recovery process when polls are put to lenders on a loan in recovery. Our underwriting team aim to provide lenders with as much information as possible to inform their lending decisions. We often post disclosures on the loan profiles about important information that we believe you should be aware of that you may otherwise miss. We also notify the borrowers that they must answer questions from lenders if they wish to raise the finance. We asked our lenders whether they tend to be more passive than active, here’s what we found. 4. Primary Market or Secondary Market? On rebuildingsociety.com and on many other platforms lenders are able to lend either via the primary market into new loans or via the secondary market, into existing loans with repayment history. So, which one should you use? Both marketplaces have their advantages and sometimes disadvantages, your decision about which one or what combination of the two should use, will come down to your lending strategy and possibly experience as a lender. The primary market allows lenders to dictate the interest rate of the loan and provides lenders with the opportunity of asking the borrowers questions before lending anything. Via the primary marketplace you can support borrowers from the start and help them raise the finance quickly, you can also choose to sell your micro loans at a later stage and possibly benefit from a sale at a premium. The secondary market allows lenders to pick from a larger variety of businesses all of which will have some level of repayment history on the platform. This allows lenders to make a decision based on the payment performance of the borrower on the platform. This being said, lenders should be aware that not all loans on the secondary market will have perfect repayment histories and as such may not be a suitable choice for them depending on their lending strategy. It is very important that if you do choose to buy form the secondary market that you go through all of the information available on a loan before purchasing a micro loan. Other lenders may seek to sell micro loans at a discount, this often happens when a loan may not be performing according to its schedule. If you choose to buy a loan that is not performing well you could benefit from the discount should the borrower ultimately repay, however you may also lose your capital.